Are you new to Genealogy? Let us help you get started on your wonderful journey of discovering family history and ancestors. Start with yourself, you should know all about yourself and have easy access to your own records, like birth certificate and marriage certificates for examples. Then add your parents, their names, their vital information like place and date of birth, note their religion, locations they moved to and other useful information. Then add your grandparents, great-grandparents and so on. Once you have the direct relatives you can add siblings, aunts, cousins and the extended family. Use a chart or family history sheet to organize the information you gather. When locating relatives in records it is necessary to know their name, event dates for birth, marriage and death, and location. Nicknames should be noted as well, as they are useful when asking family members for information. In public records it is the person’s proper name that is needed. In addition to the names and dates which will form the family tree, research your family’s story: where did your parents meet? Did they move to another island or country? Why did they move? What was it like when they were growing up? Do they remember stories their parents told them? These stories can only be gained through your relatives. Their experiences shape who they are. 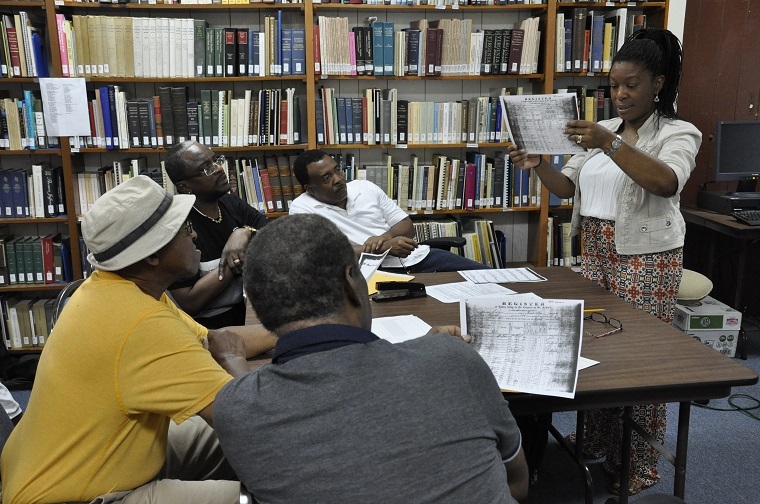 You can add to the oral history by reading books and articles about the history and culture of the places your family lived, and the events they mention that most impacted their lives. Within your home and your parent’s home are there birth and marriage certificates, photos, diaries, letters, scrapbooks or family bibles. Start with these items. Contact family members that might have information, particularly older relatives. Bring the photos and other items you gathered to ask questions and help trigger memories. Some relatives may have already conducted research and you can compare notes. With the first few generations of names you can now develop questions and seek more information. Public libraries, historical and genealogical organizations and archives are all good sources for finding books, records and data related to piecing together your family history. On this website you will find a section on Visiting the Library , Catalog of Books, Online Resources, and Research Inquiries, page. These sections will help you plan your visit and begin your research.